Our vote for Best Ornament of the Year. 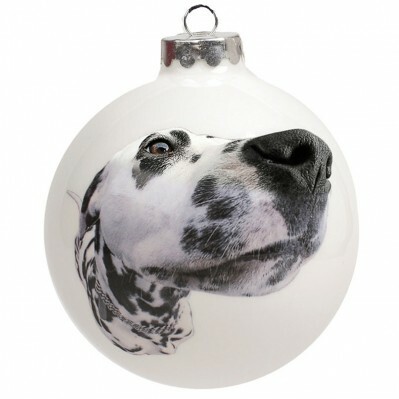 Reiko Kaneko Spot the Dog ornament, $30 at Shopbop. Florida-based brand Rifle Paper Co. has us purring over this playful phone case. 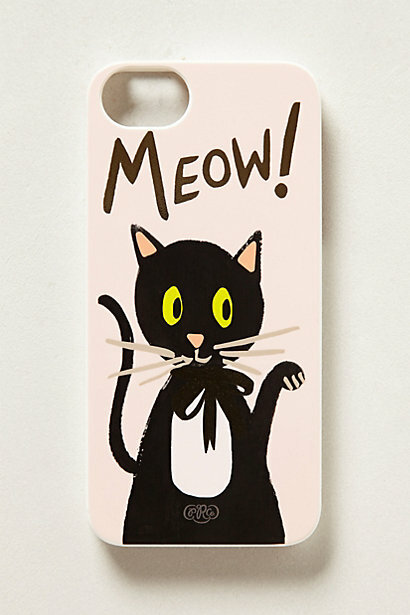 Meow iPhone case, $38 at Anthropologie. 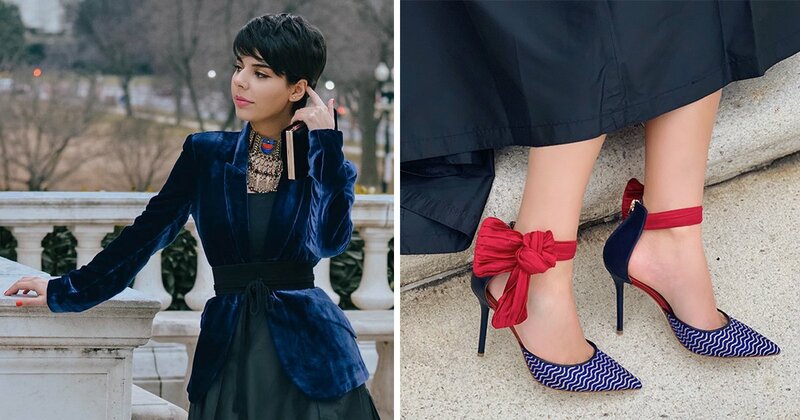 Glam up your pooch with a crystal-encrusted bow dog dollar. Crystal Bow dog dollar, $110 at Barneys. 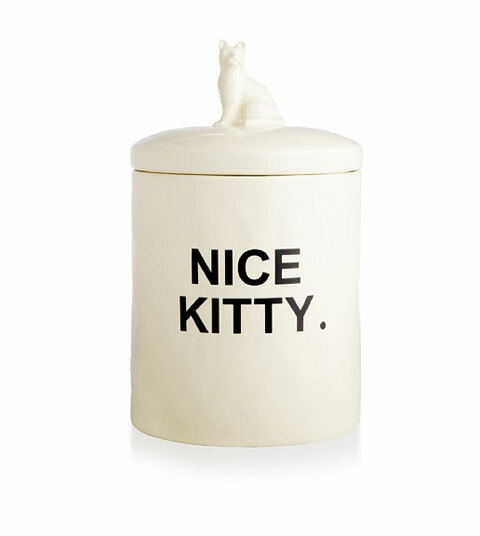 Keep the kitty treats hidden from sight in this playful ceramic jar. Treat jar, $38 at Barker and Meowsky and Nest Egg (11940 Grand Commons Ave., Fairfax; 703-988-0944). Extend the gifting season by having a selection of dog products, toys and treats delivered for 1, 3 or 6 months. A portion of the proceeds helps out dogs in need. 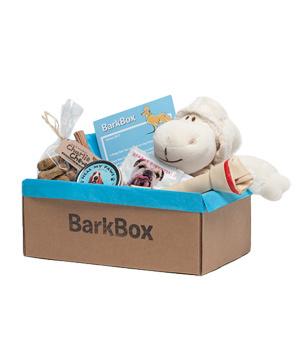 Monthly subscription, $29 for 1 month, $72 for 3, and $114 for 6 at Barkbox. For the cat lady who loves designer (almost) as much as her furball. 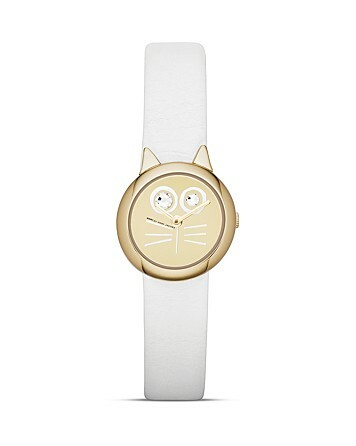 Marc by Marc Jacobs Rue the Cat Dinky watch, $175 at Bloomingdale’s. 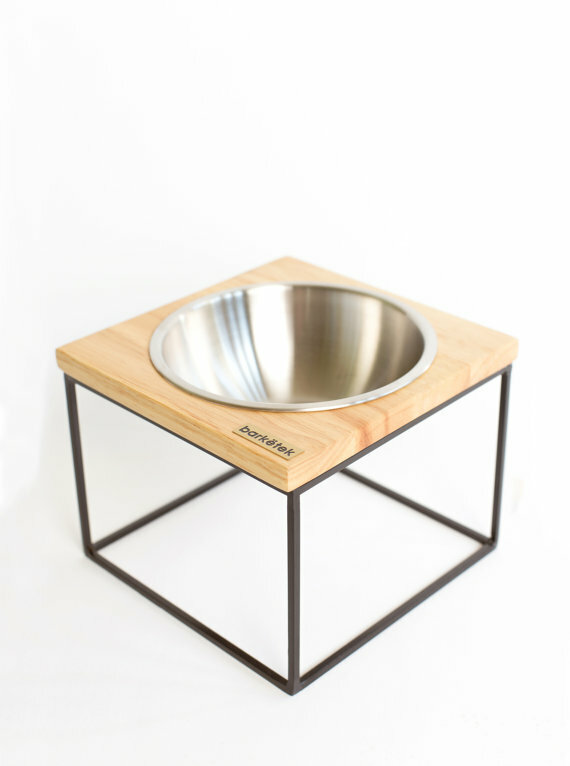 Dogs can dine in style with this mid-century modern bowl by Barketek. Midcentury modern dog bowl, $31.29 at Etsy. 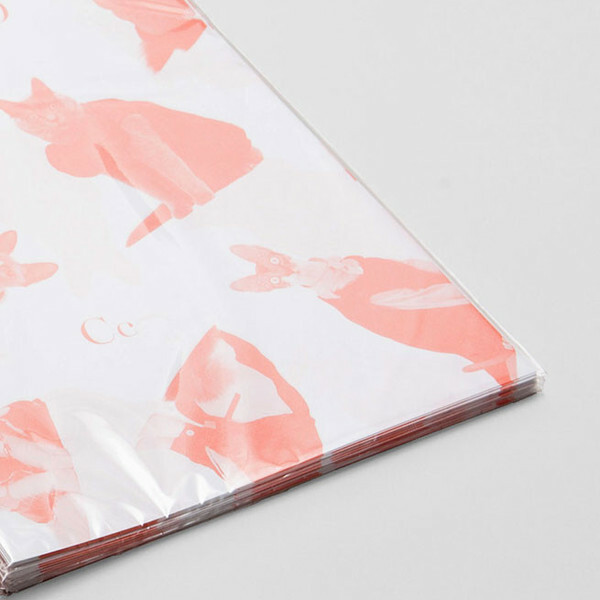 What better way to finish it off for your feline-loving friend than with this matte giftwrap? Cat wrapping paper, $28 at United Bamboo. 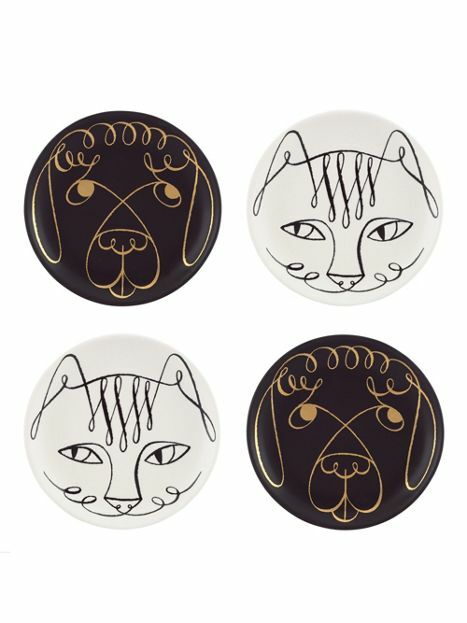 These black-and-white animal coasters are the perfect addition to any holiday cocktail party. 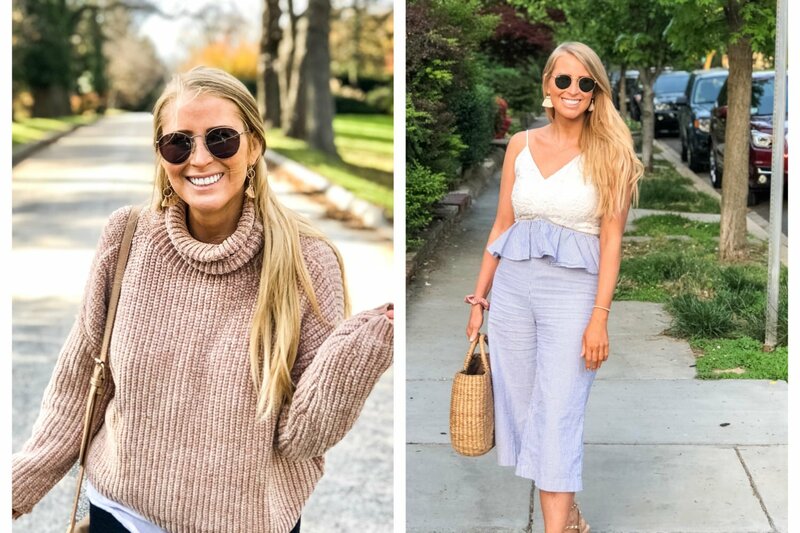 Woodland Park coaster set of four, $40 at Kate Spade. 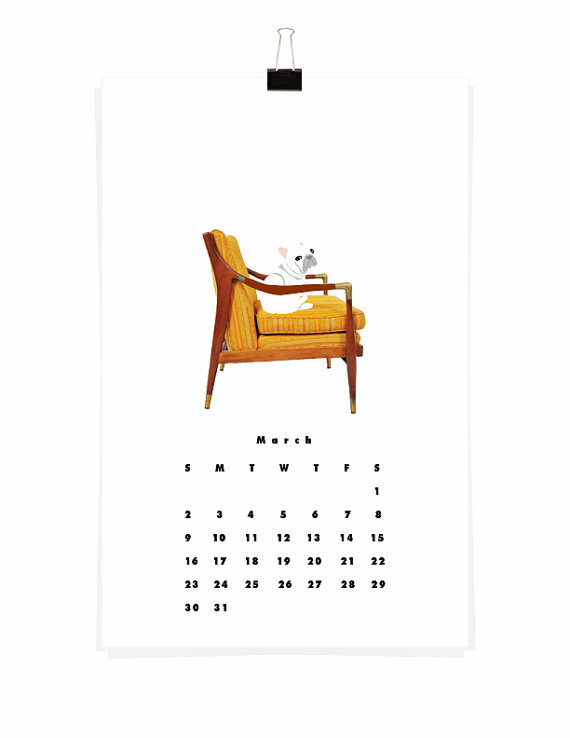 Each month features a different breed of pooch perching on various furniture. Be thankful it’s not yours. Lizzy Clara calender, $18 at Etsy. Nothing says “I love my cat” more than a giant framed illustration of one. 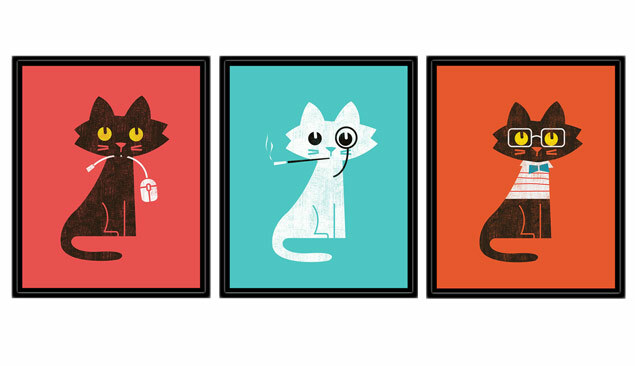 Budi Satria Kwan Hungry Hungry, Aristrocrat and Preppy Cat canvas prints, $65-$120 at Fab. Dogs can indulge in a spa treatment in the comfort of their own tub with this shea-butter shampoo. 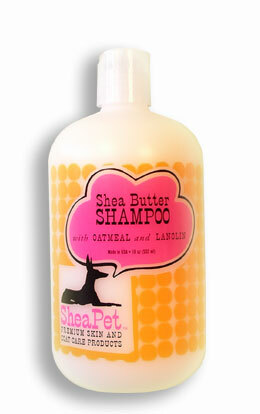 Shea Pet shea butter shampoo with oatmeal and lanolin for $16.50 from The Modern Dog. Functional but fun. 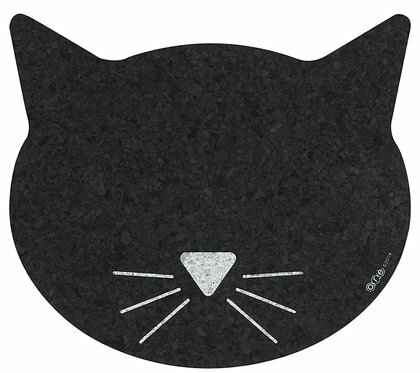 Food and water bowls create the “eyes” on this cat-face mat. ORE cat placement, $9.99 at Wag. With this sturdy steel holder, digging through the hall closet for a leash becomes a thing of the past. 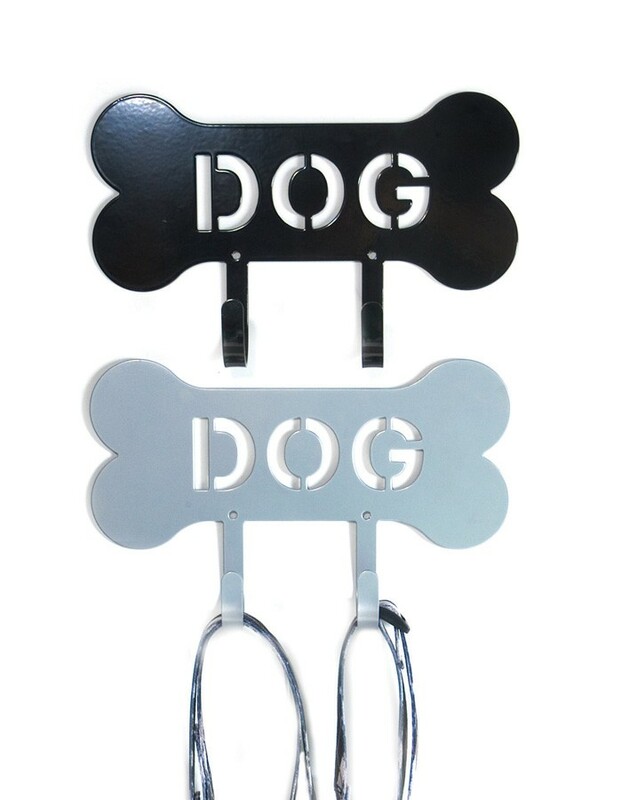 Leash hooks, $22 at Harry Barker. This intarsia sweater allows your friend to wear her heart (er, dog) on her sleeve. 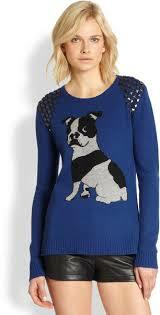 BCBG studded bulldog intarsia sweater, $268 at Saks. 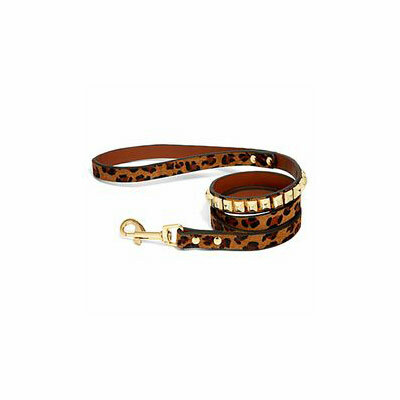 Walk the dog in style with this studded, leopard-print leash. Pyramid-stud leash, $28 at C. Wonder.